Many home owners have seen the capabilities of our high end HD IP cameras and want to be able to have that quality of video, but in some cases do not have the budget to justify the expense. It is for that reason that many customers have opted to go with lower cost analog cameras instead. However, with our newest line of HD IP bullet cameras, we have fixed that problem. These new Ip cameras now deliver 1080P HD quality video without the HD price tag. Inf fact, these cameras are even less expensive than many of the analog cameras still on the market today. 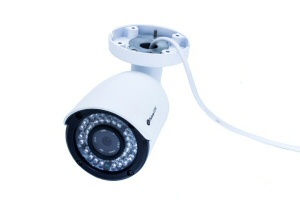 Our new HDB-5212 is the first in our budget line of IP cameras. The HDB-5212 model bullet camera comes standard with a fixed wide angle lens, allowing you to see up to 120 degree wide view, which means that you can get great coverage using less cameras. 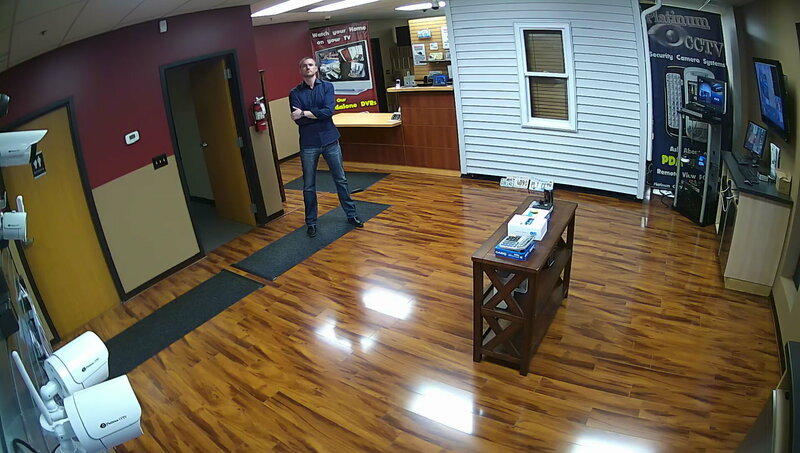 The image sensors are a 1080P HD quality image sensor, so that you can record in High Definition, and the IR LEDs allow this camera to see even up to 50 feet away in complete darkness making it ideal for even low and no light installations. All of these features are contained inside the new, easy to install weatherproof bullet housing which can be used inside or outside of your home or business. This camera's housing takes advantage of our 6th generation flagship HD-9446 camera design, to provide you with an even easier to install camera than ever before. All of the 3 axis adjustments can be controlled with a single screw on the base of the bullet. This means that there is no hassle when it comes to adjusting the camera. Optional backbox allows you to tuck the cables into the back of the camera when mounting, making it much easier to install and connect this camera to your network, whether it is installed on a ceiling or a wall. No camera is complete without PoE support (Power over Ethernet), which allows this camera to take power directly from a single CAT-5 cable. The PoE is built right into the cable on this innovative camera, with a light to show you when the camera is powered up and connected properly. The weatherproof RJ-45 cable connection included with this camera helps keep you connection safe for years to come, even when installed outside. This camera also has ONVIF support, allowing them to be used with any NVR software or platform on the market today that supports this IP standard. This camera is a pretty small bullet housing, so it is also commonly used inside small business warehouses and even offices, providing great quality video without being too imposing. Just because a camera is a budget line, doesn't mean that it has to act like it. In fact, these cameras deliver far better features than many cameras over twice their cost. These cameras are now the base cameras in each of our AVM HD IP camera systems, helping bring the cost down on the packages to suit your needs.